More than three decades after getting out of the armor business, soldiers with the 82nd Airborne Division have reactivated a company that will add Marine Corps armored vehicles to its formation. 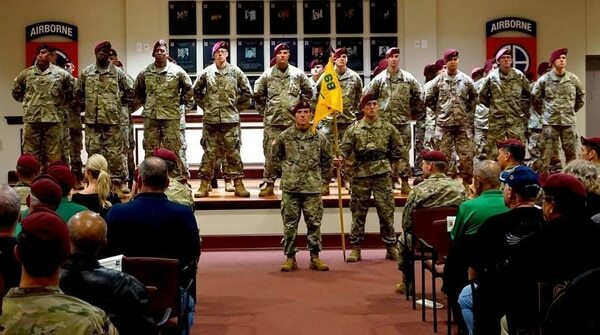 Last week, the All American Division reactivated Alpha Company, 4th Battalion, 68th Armored Regiment at Fort Bragg, North Carolina. The unit transitioned in 1984 after having served as the United States' only “airborne tank battalion,” according to the Fayetteville Observer. Following that shift it became the 3rd Battalion, 73rd Armor Regiment, continuing its armor mission until it was deactivated in 1997. The unit was active in the division since 1968 and served as an armored unit for airborne forces. It included the M551 Sheridan tank in its arsenal. But this time around, soldiers will be driving a vehicle in the Marine Corps inventory, the Light Armored Vehicle-25A2. Members of the division began training on and testing the LAVs in 2016, as reported by Marine Corps Times. Soldiers conducted airdrop tests with the LAV and chose it over the Army’s Stryker vehicle due to its lighter weight, portability and firepower, officials said at the time. Four LAVs can fit on a C-17, versus only three Strykers. The LAVs being used by the division come equipped with a 25mm cannon. For what’s likely the first time in history, the Army’s 82nd Airborne Division is having Marine armored vehicles modified for airdrops as the paratroopers consider adding the vehicle to their Global Response Force toolkit. Across the Army, units have shifted from lighter equipment to heavier, more robust and lethal equipment to counter what has been called a return to “great power competition” with Russia and China. In September, Army officials announced that it would convert one Stryker brigade combat team to an armored brigade combat team and an infantry BCT to an SBCT by 2020. That followed a 2017 announcement that the 3rd Infantry Division’s 2nd IBCT would convert to an ABCT. The changes give the Army a total of 31 BCTs in the regular Army — 11 armored, 13 infantry and seven Stryker. The Army National Guard will retain 27 BCTs — five armored, 20 infantry and two Stryker. At nearly the same time as these changes are taking effect, U.S. Army Europe is adding 1,500 soldiers to the current 33,000 troops in Germany. Those soldiers will add a field artillery brigade headquarters, two multiple-launch rocket system battalions, a short-range air defense battalion and support to the Army’s footprint in Europe. The firepower upgrades provide tactical and operational benefits for the core mission of the 82nd Airborne Division’s global response force, which includes providing a quick-reaction force anywhere around the world as needed. The global response force mission requires a battalion-sized element from the division to deploy within 18 hours anywhere in the world — a scenario experts think could be likely should Russia push into the Baltic states or into the Balkans. Capt. Aram Hatfield and 1st Sgt. James Grimes lead the newly reactivated Alpha Company. They’ll now share a connection with Army Chief of Staff Gen. Mark Milley, who the Fayetteville Observer reports started his career with A Company, 4th Battalion, 68th Armor Regiment as an assistant battalion maintenance officer and platoon leader. The LAV is an eight-wheeled vehicle that weighs 31,000 to 38,000 pounds, depending its configuration. The vehicles also use a three-person crew and can carry an additional six troops, according to General Dynamics Land Systems. The Observer reported that airdrop tests had been conducted on the LAV back in the late 1980s and early 1990s. The 82nd also experimented with the LAV-25s during Operation Desert Storm. General Dynamics conducted its own airdrop tests on both the LAV and the Stryker in the early 2000s, said Michael Peck with General Dynamics. That required some minor chassis modifications to accommodate parachute rigging attachments. Marines most often deploy with the vehicles loaded aboard ship. Last year, Marine officials said that the division was interested in obtaining as many as 60 LAVs. 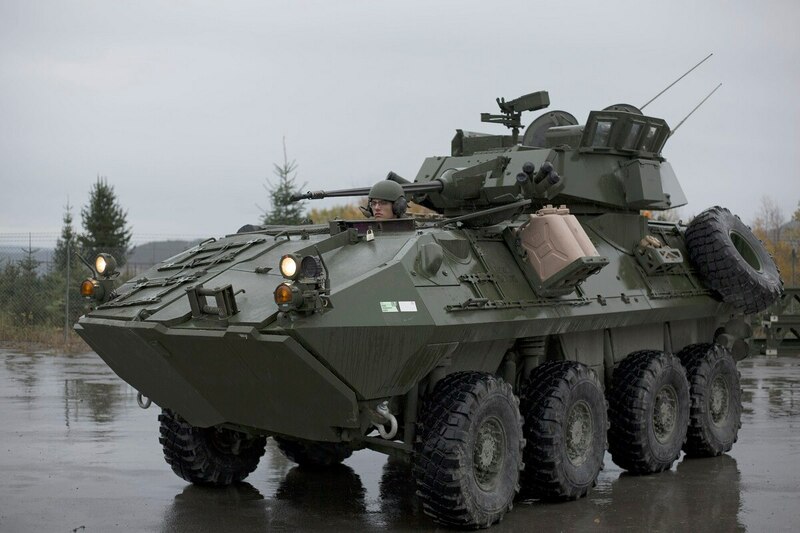 The Marine Corps is in a long-term process of developing a new vehicle to replace the LAV but has not publicly divulged detailed work on the project by the Office of Naval Research.